This gentleman has a complex story. He injured his nose by falling directly onto it at age eight. He underwent rhinoplasty at the age twelve. For surgery to occur this young, it’s an indication the trauma was severe as surgeons prefer to wait until children are fully grown. Unfortunately he had a car door closed on him, again damaging his nose. 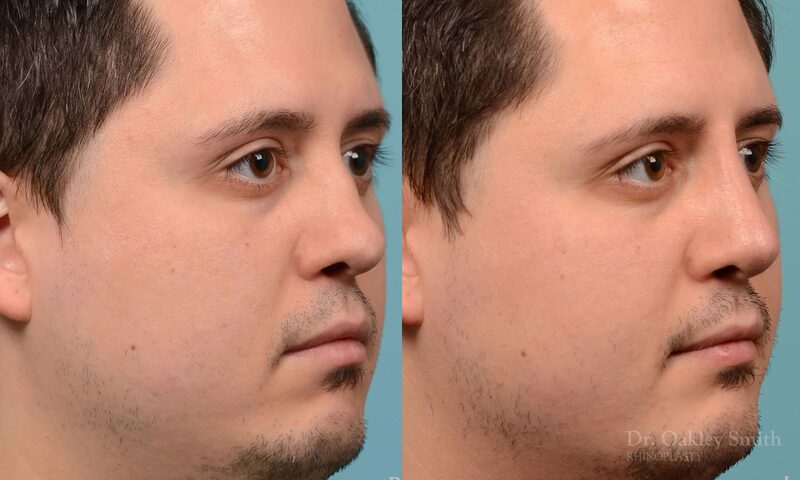 A second open rhinoplasty at age eighteen wasn’t successful. He had then noticed a slow collapse of his bridge over the last several years. His nasal reconstruction required creating a strong and stable framework. 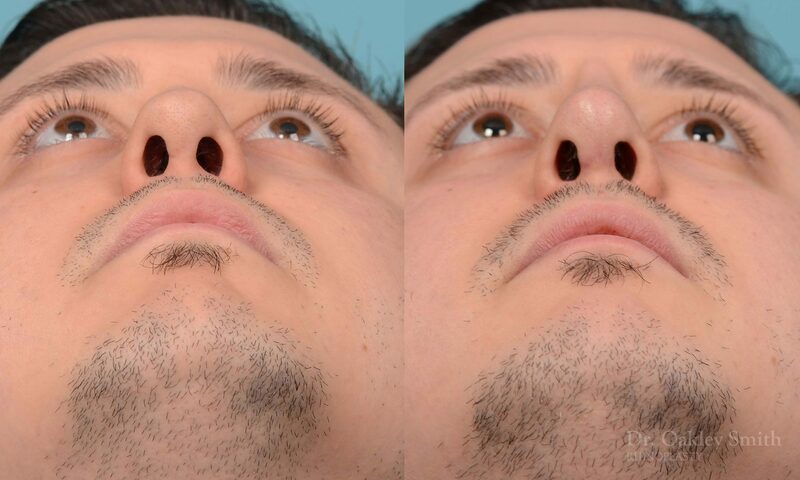 As is commonly found in these damaged noses, there wasn’t sufficient cartilage to be found inside his nose. So as expected, rib cartilage had to be harvested. His septum, which had been crushed and largely resected was replaced with rib, as was his nasal tip using a graft called a shield or tip graft. 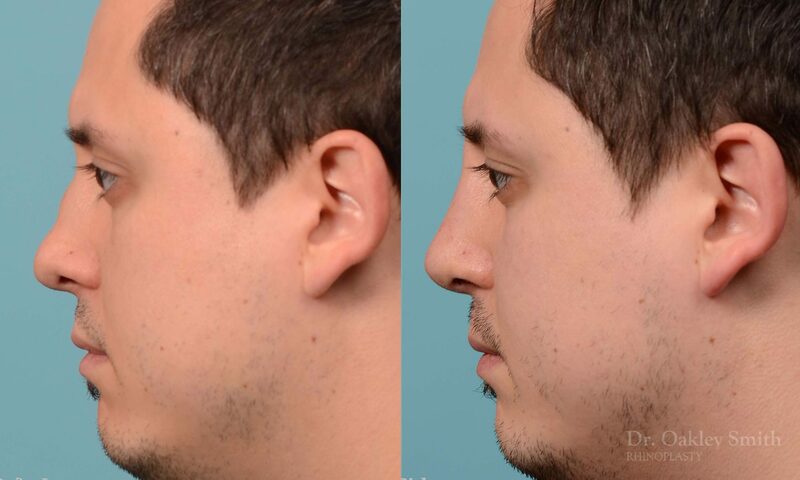 Cartilage was also placed on his bridge to project it and create a pleasing profile line. His breathing returned to what he felt was normal. Because of the degree of difficulty and complexity, Dr. Oakley Smith had told him before surgery his probability of total success (breathing and appearance) was only 60% or so. 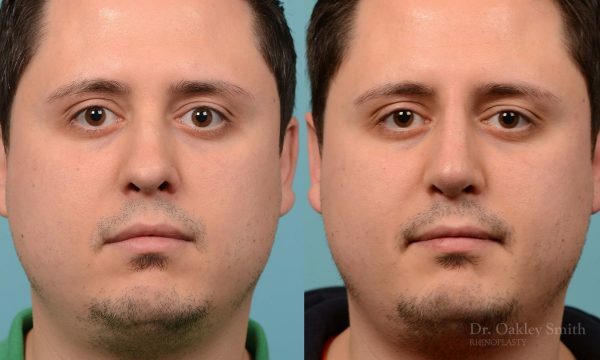 He was given a 90% success rate for improving the appearance. It’s important people understand that rhinoplasty isn’t always successful. 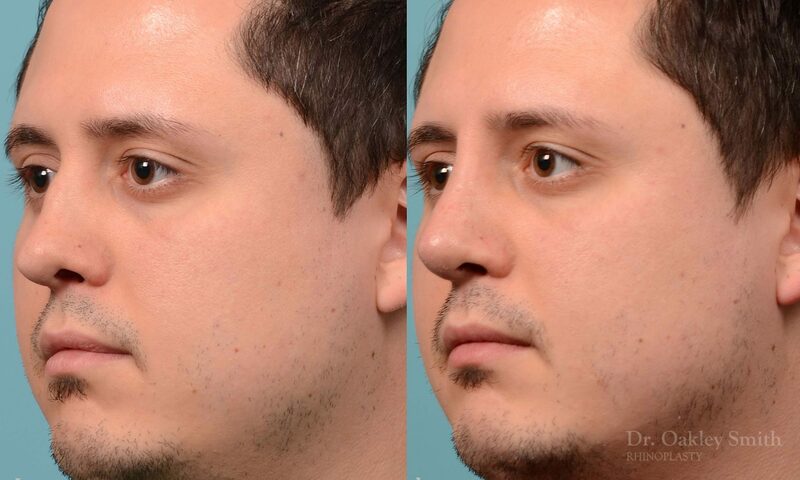 Although both patient and surgeon obviously hope for this, the more complex the rhinoplasty, the lower the successful outcome. 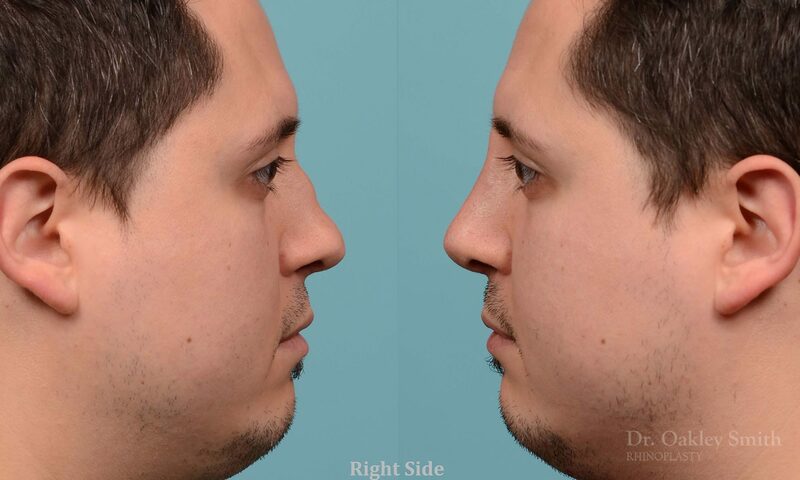 Revision rhinoplasty is almost always more difficult than primary. This is why surgeons say ‘You’re first chance, is your best chance’. Another reason why choosing the right surgeon the first time is so critical.